Deery me -is it that time of the year already? This 7 fl. 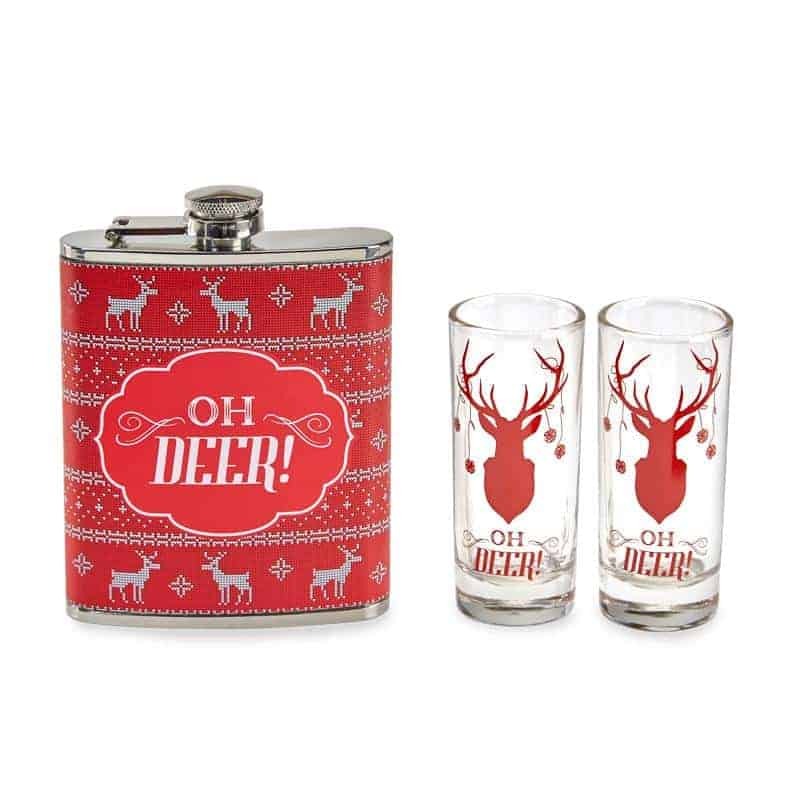 oz flask and shot glass set is the gift you need under the tree this year!